Like every artist your tools will play a special role in the making of your masterpiece. in this case we are talking about a jaw dropping makeup look. Using the right makeup brushes makes a huge difference in the way that your makeup applies and looks. We all know that beauty has a price and sometimes the tag of those makeup brushes is way over the line. as with every investment you’ll want to keep your brushes in the best shape that they could be for as long as possible. we have gathered five killer tips that will extend the life of your makeup brushes. Use a Brush Cleanser After Every Use. It’s very important to clean your brushes to reduce the risk of catching bacterias specially if you have them sitting upright in a jar or stand. The dust and bacteria that are in the air, can fall right into the bristles and that’s the last thing you’ll want to buff onto your skin. Here’s a super easy diy recipe for a brush cleanser: DIY BRUSH CLEANSER that you can find at the Free People Blog. Make your own Brush Cleaning Pad. Once you soak your brushes with the DIY brush cleanser you’ll want to squeaky clean them by using the help of a cleansing pad. They are super easy to make and will help you get rid of all dirt. Here’s an easy tutorial on how to make one. Using an old tile and a glue gun. 3.Soften your brushes with a bit of conditioner. You already know the benefits of conditioning your hair well your brushes might need some pampering after all that washing. 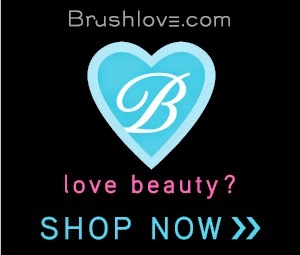 Brushes can become rough or dull and uncomfortable to use on your skin. Before your brushes get to that point, use a tiny bit of conditioner (yes, the same one you’d use for your hair) to condition the bristles to prevent stiffness . Do you have any tips for cleaning up your brushes? Please let us know in the comments section below.